Dorothea Sinclair has left her small home town in Maine and come to Boston to begin a career as a newspaper reporter. But so far her job on the Guardian has proved disappointing. More skivvy than reporter, she’s even been subjected to a humiliating proposition from the chief editor’s son. She needs a break but never expects it might come from a chance meeting with an Irish ruffian. There’s a great deal of injustice in Boston, and O’Hare, embroiled in his fight for equality on behalf of Boston’s Irish, is well aware of it. When he rescues Dorothea’s hat on the waterfront, he’s surprised to learn she’s a reporter. And when she offers him the opportunity to state his case in the Guardian, what can he do but accept? It’s the perfect chance to put his dreams into his own words—and the only sure way to see her again. He sported a long, leather coat, well-scuffed and worn open to show a pair of rough trousers and a workman’s shirt, unbuttoned at the throat. Nothing wrong in that. 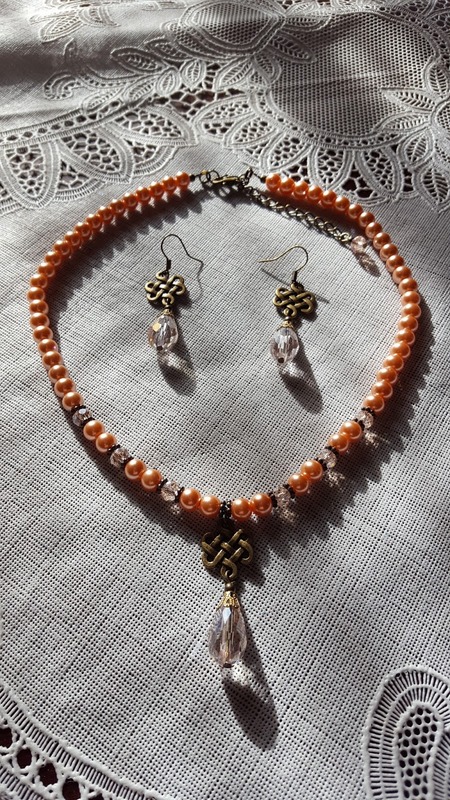 Dorothea’s own father was a worker, if a skilled one—the blacksmith back home. This man had no blacksmith’s build. Instead he looked light on his feet, square-shouldered and graceful as quicksilver. Brash confidence rolled off him in waves. As she stood staring across the road in consternation, he held up her hat and grinned before casting a look both ways and jogging over to her side. He brought a presence with him that backed Dorothea up a step or two. She might credit it to the set of those fine shoulders or the grin that still occupied his face or the swagger he displayed that made the most of his height which, surely, didn’t top six feet. He reached her, spent an instant examining her closely and presented her hat with a sweeping bow worthy of a practiced thespian. Dorothea reached for the hat but, like the rascal he undoubtedly was, he kept it from her grasp, pretending to examine it closely. He brushed off a bit of grit from the brim and fingered the now-tattered veil. Again, Dorothea reached for her hat; again he kept it from her only to take a step closer and set it on her head. Dorothea, assaulted by the full force of his masculinity, said nothing though she reached up one hand and clamped the hat to her head. She looked into his face and all the breath fled her lungs. He wore no hat and had a head full of copper curls well-tossed by the wind. His face screamed Ireland with a broad forehead and slightly-squared jaw all sprinkled with freckles visible even beneath his worker’s tan. His eyes—but no. Dorothea met them once before her gaze skittered away much as the hat had, only to return again on a rush of fascination. Tawny gold as those of a tom cat, his eyes held a world of emotions: amusement first of all, that flaming confidence, an uncanny wisdom and a hint of daring. Dorothea responded to the last first—seldom did she fail to accept a dare. When the trawler White Gull was lost in a storm off the coast of Lobster Cove, Lisbeth O’Shea’s husband, Declan, was lost along with it. At least that’s what Lisbeth believes until, a year later, she hears Declan’s voice in the night and sees him haunting the shore near their tiny cottage. Then she wonders… Has grief affected her mind? Or is someone playing a cruel trick? Town blacksmith Rab Sinclair has loved Lisbeth ever since he arrived in Lobster Cove. Lisbeth has never had eyes for anyone other than the charming, feckless Declan O’Shea, but Rab knows Declan was not faithful to Lisbeth. How can he convince the grieving widow she’s pinned her heart on the wrong man? And when dangerous secrets come to light, how can Rab protect the woman who means more to him than his own life? 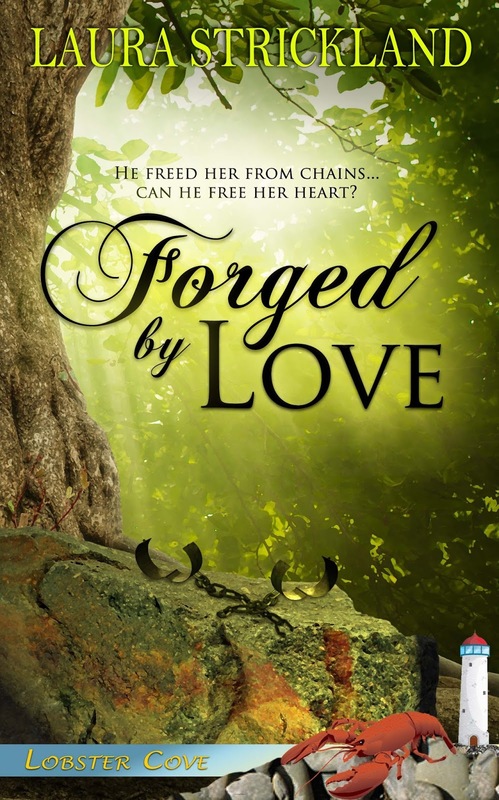 Newly returned home to Lobster Cove from the War Between the States, blacksmith Douglas Grier can’t forget the horrors he’s witnessed or the beautiful young woman he helped break free from her shackles one dark night after her master’s plantation burned. He wishes he had at least asked her name, even though she and her family disappeared into the darkness and Douglas has no expectation of seeing her again. Josie Freeman can’t remember the last time she felt safe. Even though she and her family are freed, they’re being pursued by slave hunters hired by their former owner. When their ship is damaged on the way to Nova Scotia, Josie is thrown into contact with the one man she never expected…the very man she had wanted to see. But will her past catch up with her before Douglas can free her heart? 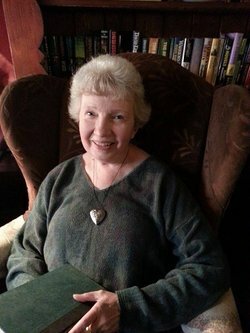 Award-winning author Laura Strickland, born and raised in Western New York, has pursued lifelong interests in lore, legend, magic and music, all reflected in her writing. She has made pilgrimages to both Newfoundland and Scotland in the company of her daughter, but is usually happiest at home not far from Lake Ontario, with her husband and her “fur” child, a rescue dog. Author of Scottish romances Devil Black, His Wicked Highland Ways, Honor Bound: A Highland Adventure and The Hiring Fair as well as The Guardians of Sherwood Trilogy consisting of Daughter of Sherwood, Champion of Sherwood and Lord of Sherwood, she has also published three Steampunk romances, Dead Handsome: a Buffalo Steampunk Adventure, Off Kilter: a Buffalo Steampunk Adventure and Sheer Madness: a Buffalo Steampunk Adventure as well as two Christmas novellas: The Tenth Suitor and Mrs. Claus and the Viking Ship, and a Valentine’s novella: Ask me. 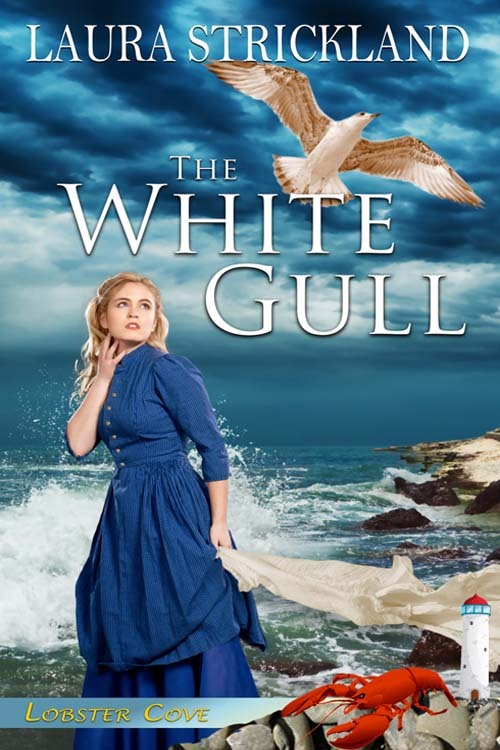 Her Lobster Cove Historical Romances include The White Gull and the novella, Forged By Love, which won first place in the International Digital Awards. 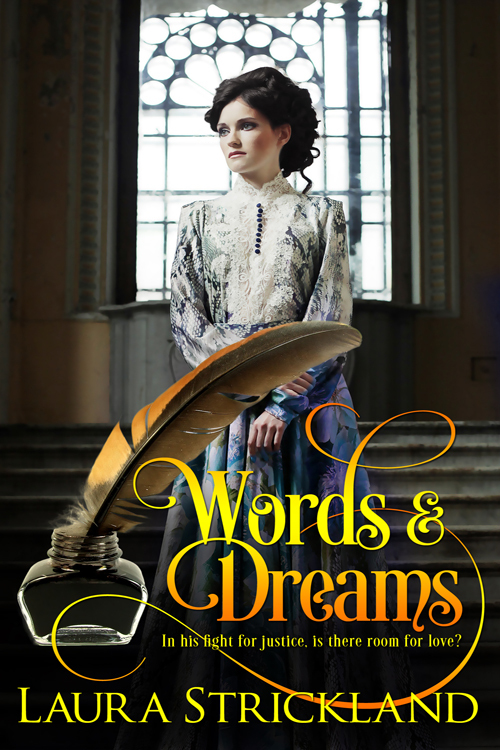 Her latest release, Words and Dreams, is the sequel to Forged By Love.